It's SIMPLE, EFFICIENT, EFFECTIVE. Finally, body contouring is as advanced as the rest of your world. Smart technology is everywhere, steadily transforming our world into a better place. But body contouring has been stuck in the past. Until now. 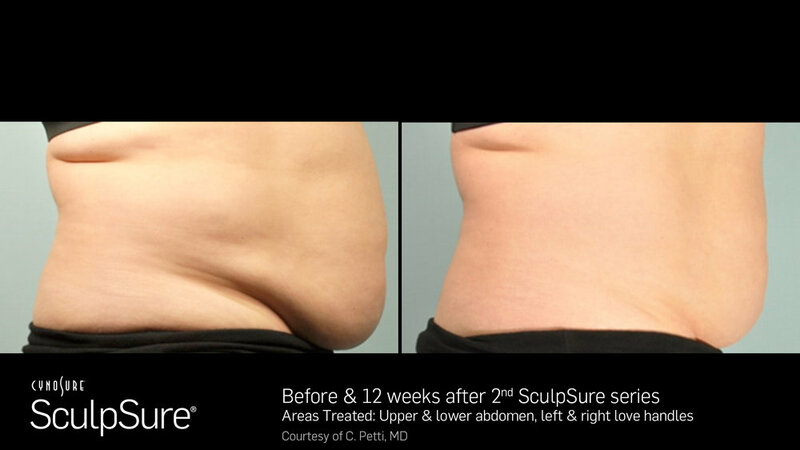 SculpSure non-surgical body contouring helps you achieve a natural-looking, slimmer appearance in problem areas such as the belly, love handles, back, thighs and under the chin, with a treatment plan that’s customized to your desired results. It’s simple, efficient, effective. Finally, body contouring is as advanced as the rest of your world. It’s the smarter choice. IS SCULPSURE RIGHT FOR ME? 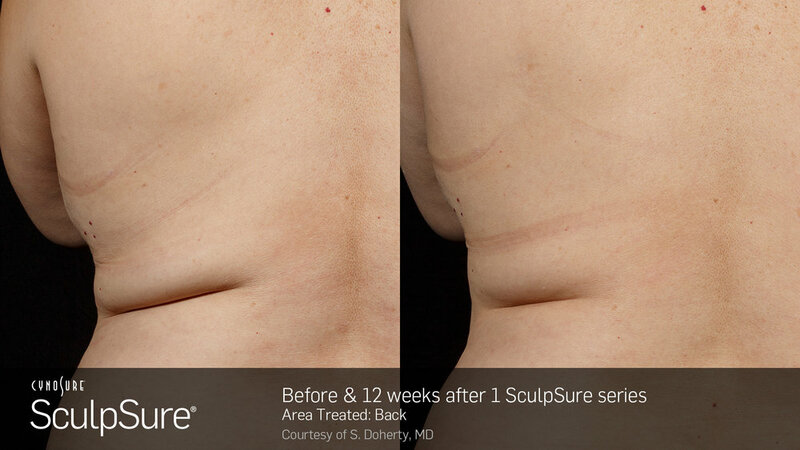 SculpSure is ideal for people with stubborn areas of fat, particularly those that seem resistant to diet and exercise. HOW MANY TREATMENTS WILL I NEED? Every patient is different. Most patients see the best results when they have a series of treatments. Ask your treatment provider about the treatment plan that is right for you. WHAT SHOULD I EXPECT DURING THE TREATMENT? Most patients feel a tingling sensation intermittently throughout the treatment which is generally well-tolerated. HOW LONG BEFORE I CAN RESUME NORMAL ACTIVITIES? There is no recovery period or downtime with SculpSure, so you can have the treatment and return to normal activities immediately. WHEN WILL I SEE RESULTS? Patients may start to see results as early as 6 weeks following treatment as the body begins to evacuate the destroyed fat cells, with optimal results usually seen at 12 weeks. Call 804.601.8202 for a COMPLIMENTARY consultation.